Today, February 5th, begins the new Tibetan year, the year 2146 the year of the female Earth boar and during the Losar (in Tibetan ལོ་གསར) traditions and customs vary. 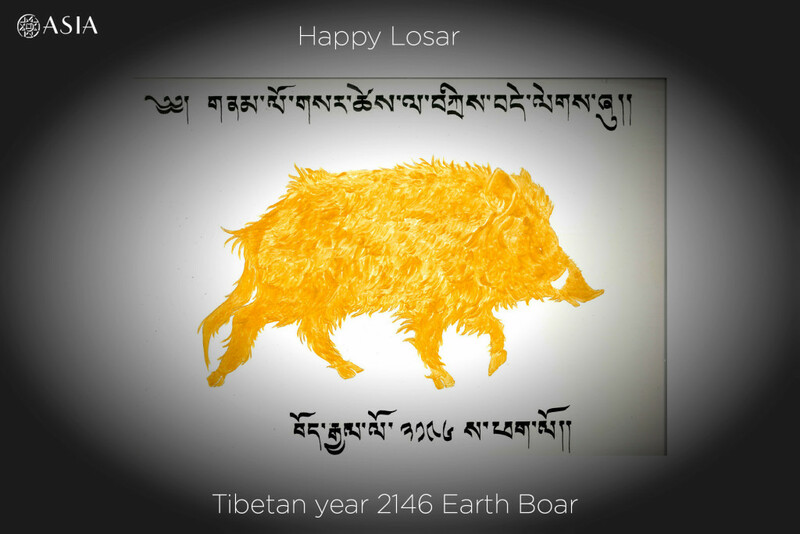 Losar (Tibetan: ལོ་གསར་, lo means year and sar means new). Losar is celebrated for 15 days, with the main celebrations on the first three days. On the first day of Losar, one drinks a beverage called changkol made from chhaang (a Tibetan cousin of beer). The second day of Losar is known as King’s Losar (gyalpo losar) and it is dedicated to games and celebrations. The third day is spent visiting family and friends. For Tibetan nomads the first day of Losar starts washing oneself outside their tents to bathe in “star water” collected before the light of the night stars vanishes completely. Then the men chant an auspicious invocation over a smoke offering by burning wood from sukar, nyadri and penkar, on braziers built using earth. Meanwhile the women make a ritual offering called yado. 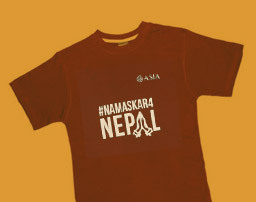 When all the family members have gathered inside the tent, all together they make a smoke offering called kungsang. The upper aperture of the tent is opened wide and all kinds of picked sweet smelling plants are burnt on the hearth. Nomads explain that, if when doing this rite the tent fills with thick smoke the family will become rich. If the smoke rises straight into the sky through the upper aperture, this is considered an auspicious sign. If the smoke spreads in all directions, the herds will increase. If from the upper front the smoke falls to the earth accidents will happen to the men; if the smoke turns to the right the power of women’s deities is strong and the farm, livestock and products will go well; if it turns left the power of the men’s deities is strong and enemies will be subjugated; if the smoke turns right and left, there will be much conflict with enemies. Nomads living near monasteries take yogurt and troma (in different containers) as offerings to the monastic community.